Swimming with Elephants Publications, LLC would like to reintroduce to you to Eva Marisol Crespin. 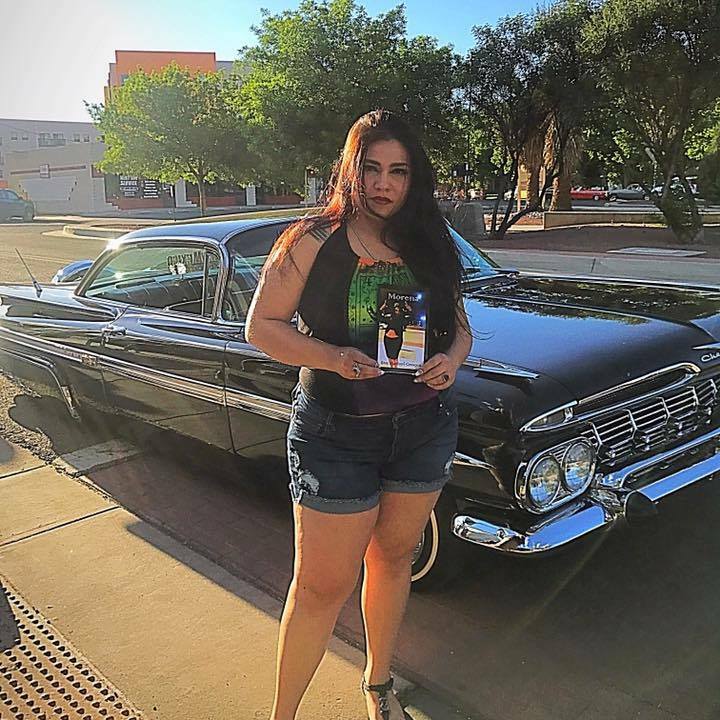 Eva Marisol Crespin’s chapbook, Morena, was published by Swimming with Elephants Publications in March 2017. Burque native, Eva Marisol Crespin is a slam poet who has been writing and performing poetry since the age of 12. Coming off a win at the 2016 National Poetry Slam Group Piece Finals, Eva has been a part of a number of slam teams who have seen final stage. She continues to slam and write poetry in her hometown of Albuquerque. She is currently working towards her degree in social work, working as a server, and teaching writing workshops in the community. She identifies as an Indigenous, Queer, Xingona, Xicana, who is sculpting words and ripping herself open to speak her truth.